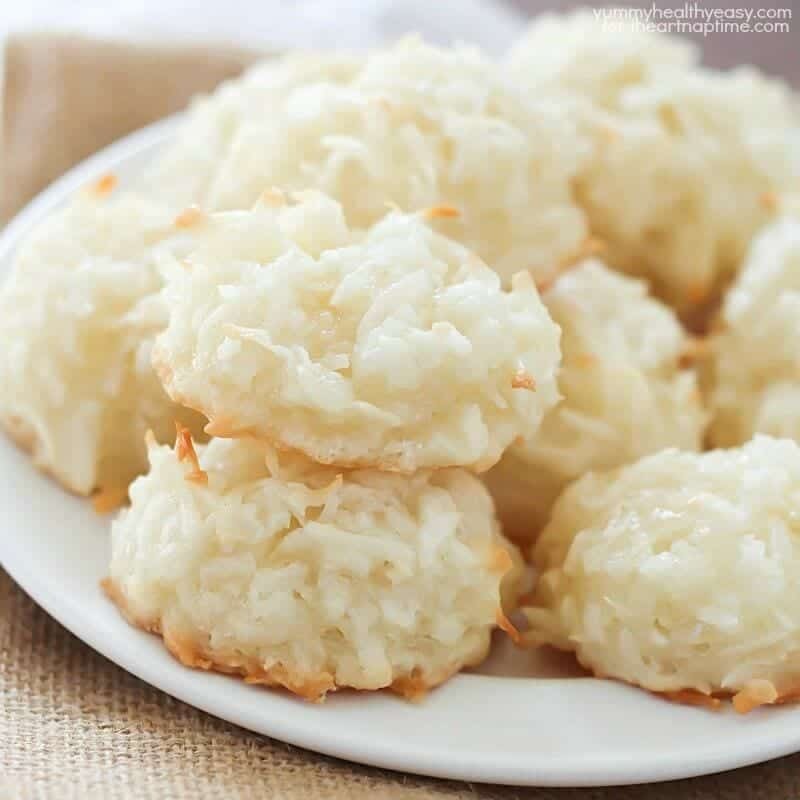 Easy Coconut Macaroons – Soft, chewy and full of coconut flavor. So simple to make…you only need 6 ingredients and one bowl! You can make them plain or dip them in chocolate for an added touch! These are the best coconut macaroons! 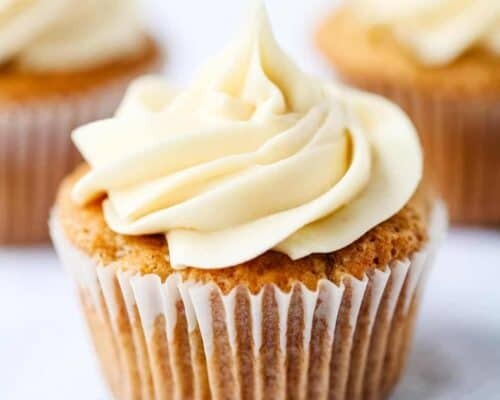 They are so easy to whip up and taste incredible. I love to make them every year for Easter, as well as carrot cake, carrot cake cupcakes, Cadbury Easter cupcakes and layered Easter egg cake. I am a HUGE coconut fan. When I was a kid, my grandma used to sprinkle coconut on top of sliced oranges for a quick side dish. It turned into a little thing she always did for me. From then on, I loved anything involving coconut. 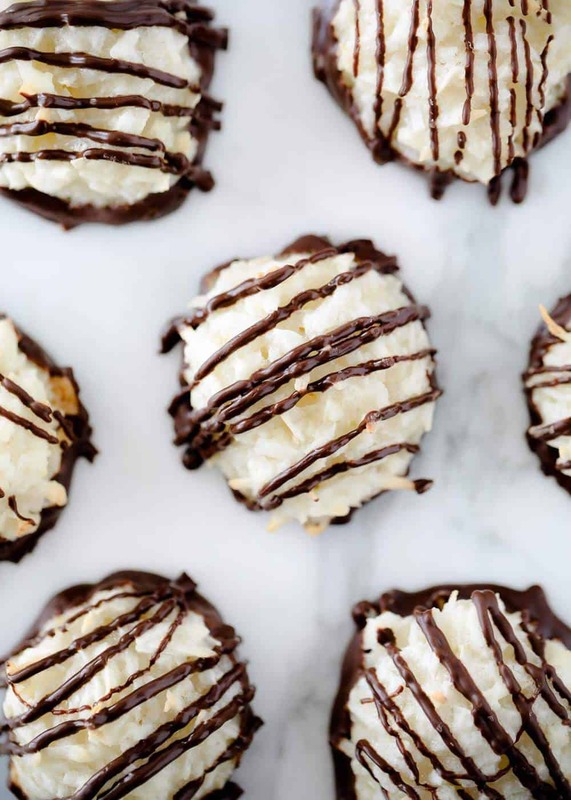 And these coconut macaroons are no exception! They’re soft, chewy and are chock full of coconutty goodness. They taste wonderful dipped in melted chocolate, with a little extra drizzled on top. It reminds me of an almond joy! They are also adorable with chocolate eggs on top for Easter celebrations. 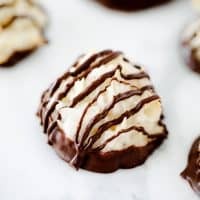 This coconut macaroon recipe was one that I got years ago from a friend and I make them every year. It’s an easy recipe to cut in half or to double, triple, etc. The macaroons taste so delicious and are the perfect addition to your holiday cookie plates! What is in a macaroon? I love baking coconut macaroons! They are one of the easiest cookies to throw together. They have only 6 macaroons ingredients and are mixed up really quick in a mixing bowl. 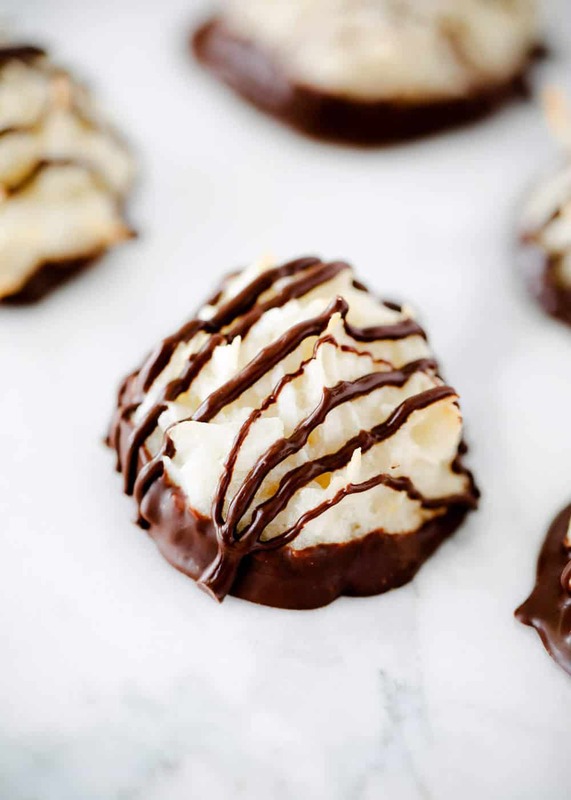 You can also use chocolate melting wafers to add a chocolate drizzle to your coconut macaroons. Scroll down for the printable coconut macaroons recipe and video tutorial. Preheat oven to 325ºF and line baking sheet with parchment paper. Combine coconut, flour, sugar and salt in a mixing bowl. Stir in egg whites and vanilla and mix. Drop by rounded teaspoonfuls onto baking sheet and bake for 18-20 minutes, until edges have turned golden. Remove from oven and cook macaroons on baking rack. If desired, dip bottoms of macaroon cookies in melted chocolate and then drizzle some on top. 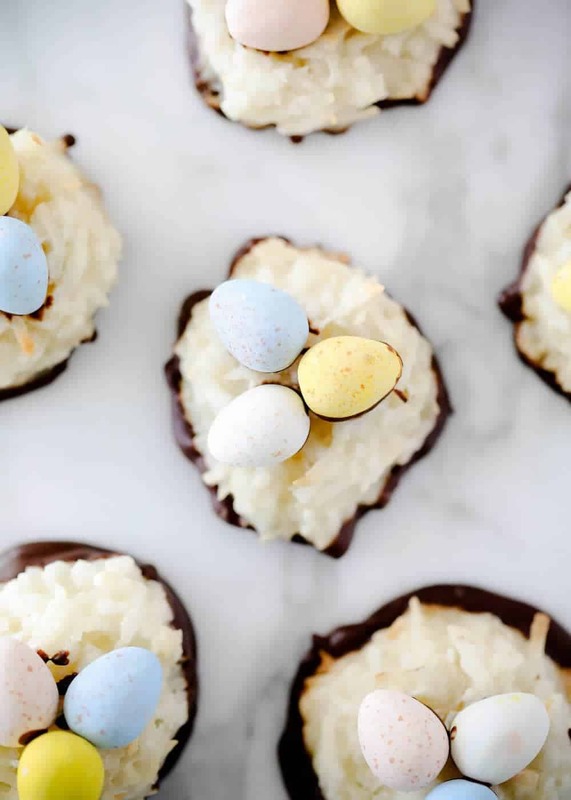 TIP: Decorate your coconut macaroons for Easter by adding chocolate candy eggs on top! How do you store coconut macaroons after baking? To store coconut macaroons, simply place in an airtight container. The macaroons will keep at room temperature for about a week. This is a great cookie to make ahead of time because of the longer shelf life! Can you freeze coconut macaroons? Yes, you can freeze coconut macaroons. 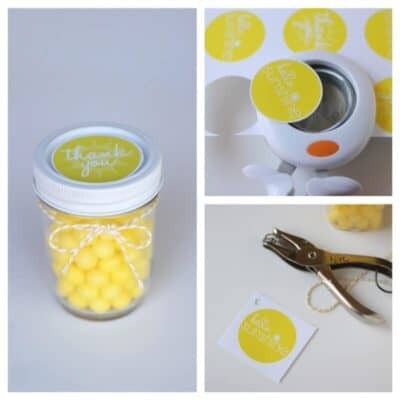 Simply wrap each macaroon individually with plastic wrap, then add to an airtight container or freezer bag. The macaroon cookies will keep in the freezer for up to 3 months. Easy Coconut Macaroons - Soft, chewy and full of coconut flavor. So simple to make...you only need 6 ingredients and one bowl! You can make them plain or dip them in chocolate for an added touch! Preheat oven to 325ºF. Line a baking sheet with parchment paper or a baking mat. In a mixing bowl, combine coconut, flour, sugar and salt. Stir in egg whites and vanilla. Mix well. Drop by rounded teaspoonfuls onto prepared baking sheet. 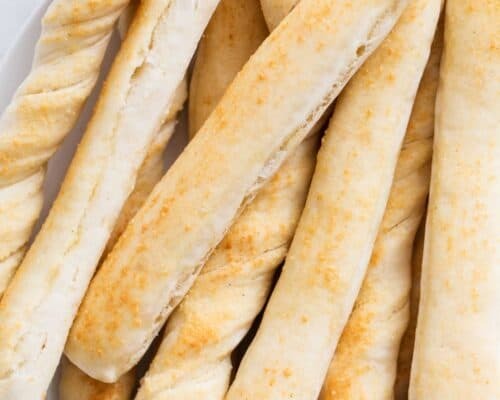 Bake in preheated oven for 18-20 minutes or until the edges have started to turn golden brown. Remove from oven and cool cookies on wire rack. 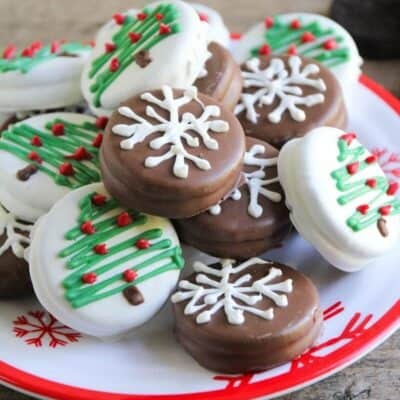 If desired, dip the bottoms of the cookies in melted chocolate once cooled and then drizzle some on top. Such a yummy treat! 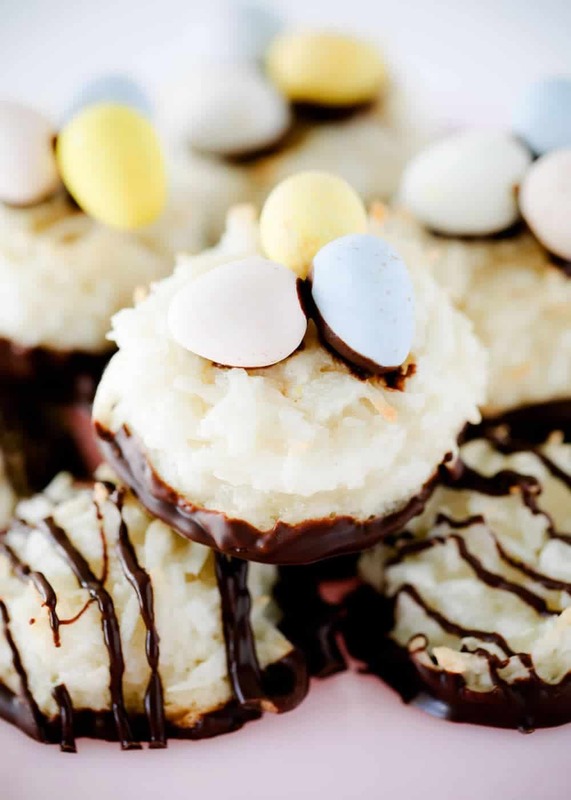 Can’t wait to make these coconut macaroons again this Easter! So easy and so yummy. It made 24 small macaroons. I knew I didn’t have time to dip them, so after I scooped out the first dozen I added mini choc chips to the last dozen.